2013 was a year of pretty big changes at 12 Oaks. I posted our goals for the year here and I’m happy to report we got most of what we set out to do done! Here’s the checklist on how much we accomplished. 1) Put in Upstairs Hall Bathroom. Check! 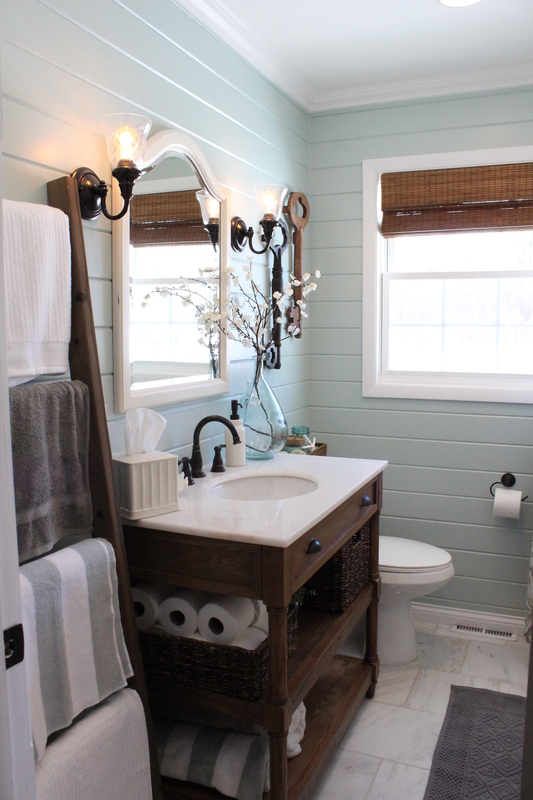 We completely gutted and re-did the bathroom. 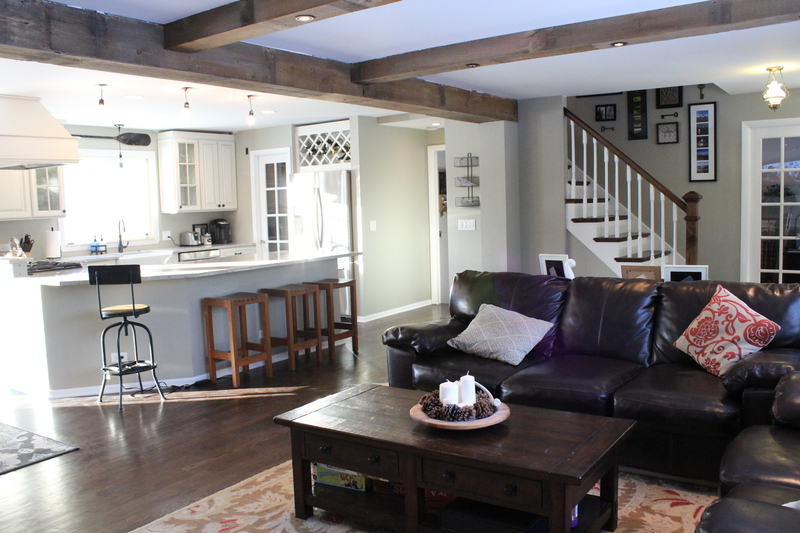 It is one of my favorite spaces in the house and has turned out to be quite the Pinterest sensation, lol. Full tour here. 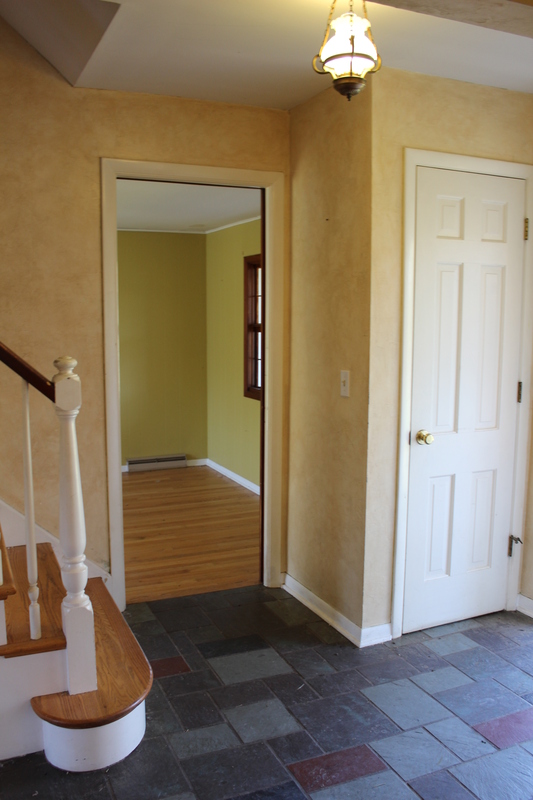 2) Re-locate laundry and renovate first floor powder room. Check! Sort of. 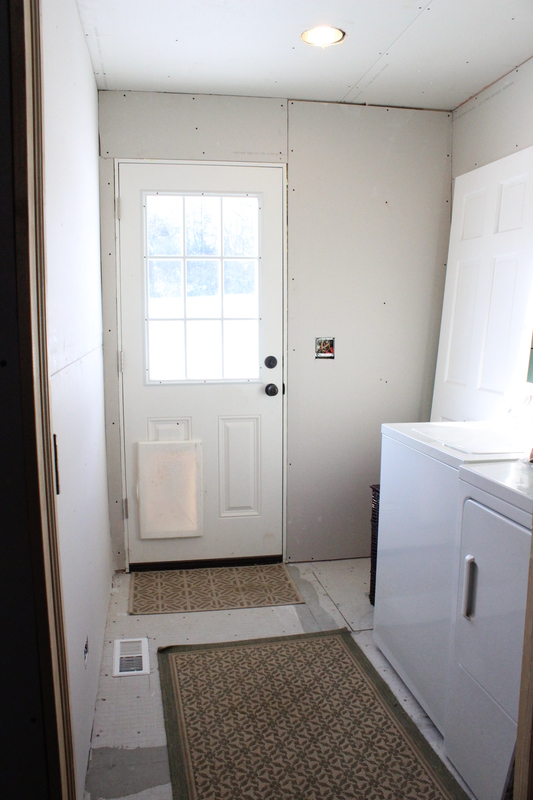 What was once the laundry and powder room is now our pantry and part of our kitchen. 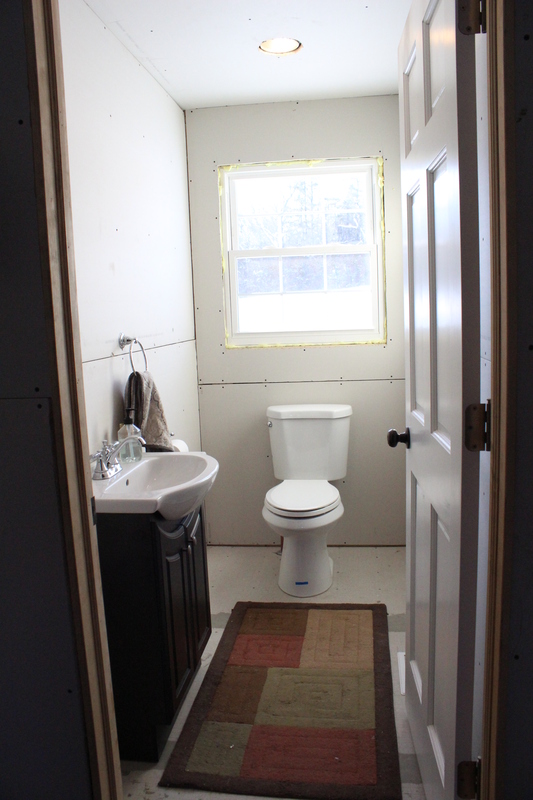 The new first floor powder room isn’t done, but it is functional (sink and toilet working), and we have a new laundry room. 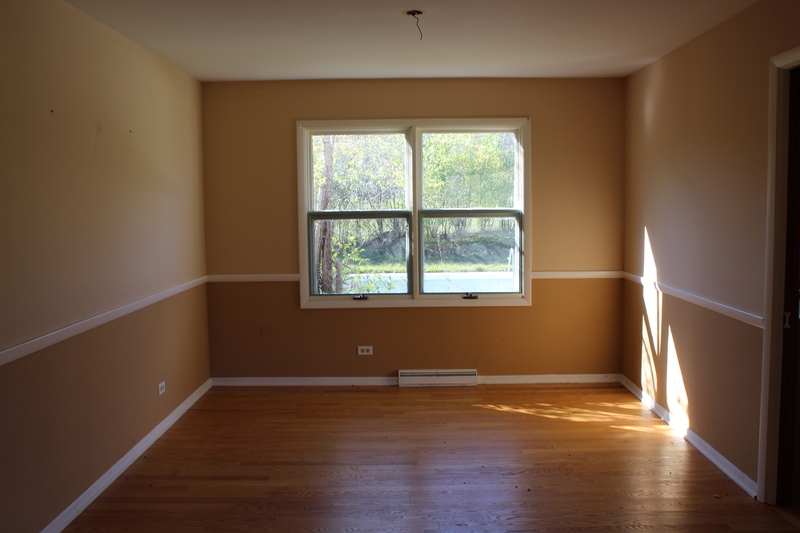 3) Take down a wall to create open floor plan. Oh yeah! It feels like a whole new house since we did this. And here is a similar view now. 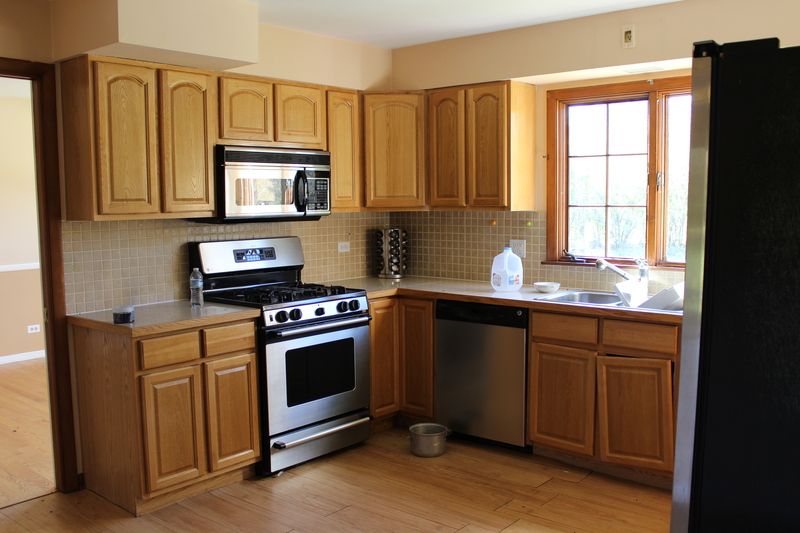 4) Renovating the kitchen. Check! Just a few minor tweaks left, but this was the biggest transformation yet. 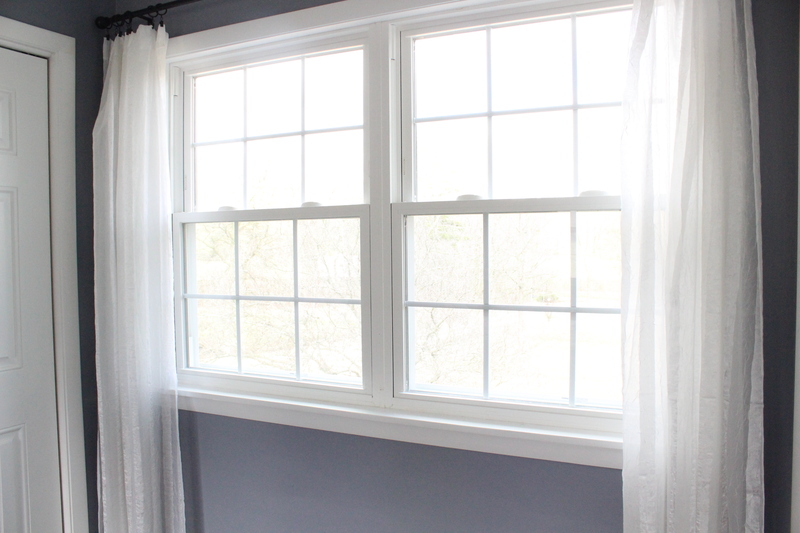 5) New windows. We’re on a roll, another check. 6) Renovate Master Bathroom. Ok, this didn’t happen. 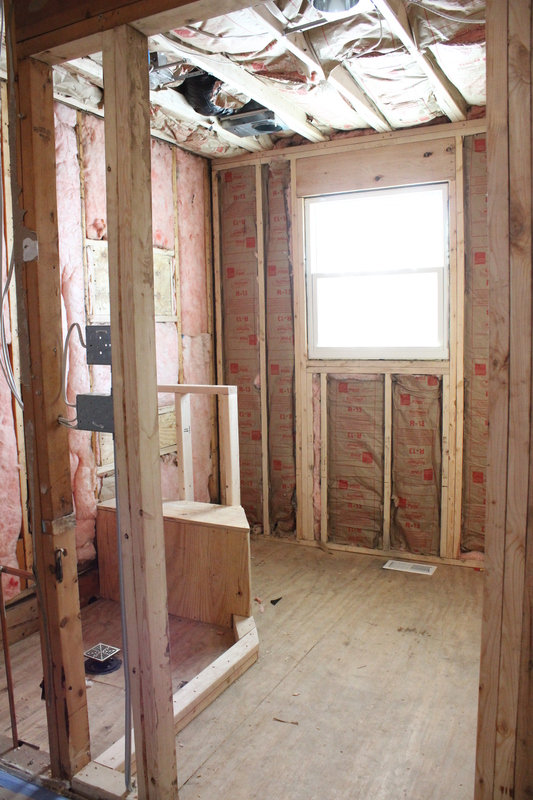 BUT, our master is now moving and the addition is built so a new master bathroom is started. 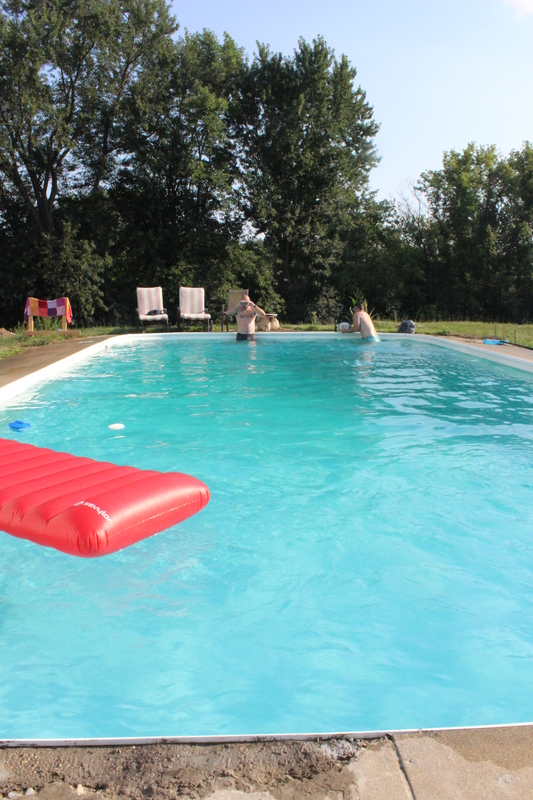 7) Get the pool up and running. It took until the end of summer but we got another check! 8) Build a deck and/or patio around pool along with landscaping around it and the rest of the property. No check. We designed the deck, poured the footings and bought the materials but it got too cold to build. 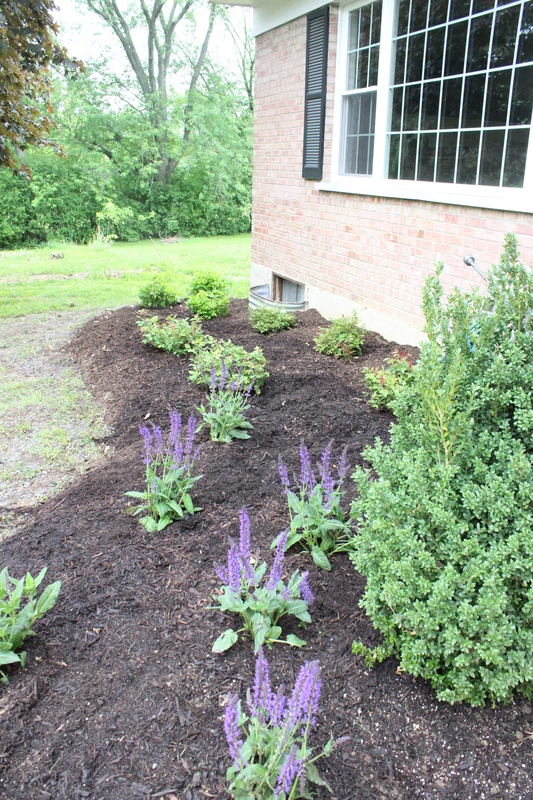 We did landscape the front of the house though. 9) Add french doors off of the dining room. Check! Love these. 10) Paint the house and install new front door. 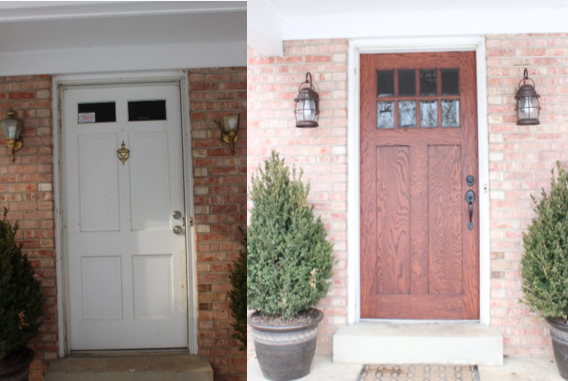 No paint, but we did get a new front door. 11) Update fireplace in the den. No progress. This is going on the list for 2014. 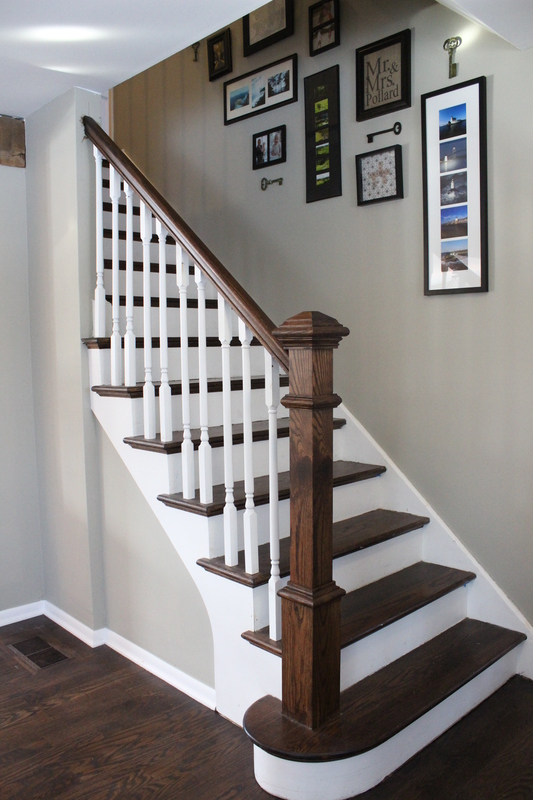 12) Add shadowbox molding in dining room and stairs. Not yet. Though our stairs did get a nice makeover. 13) Put in can lights in living room. Check! 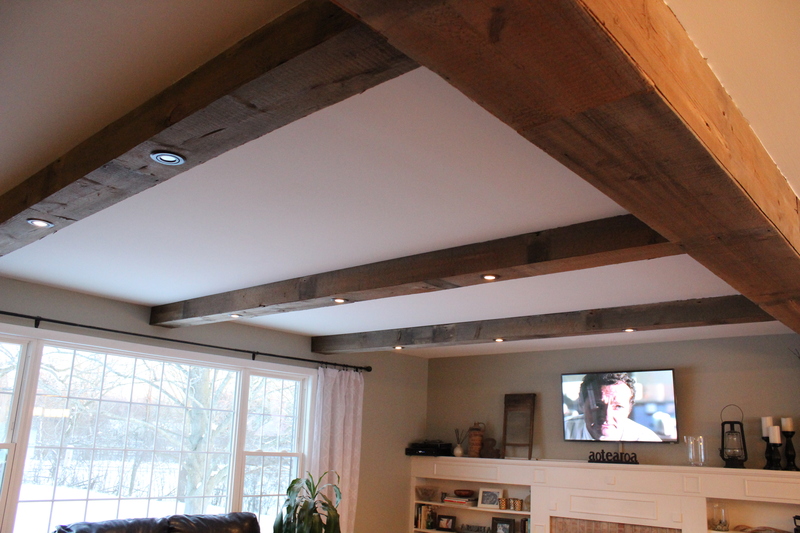 We put in dimmable can lights in the barn wood beams we installed. 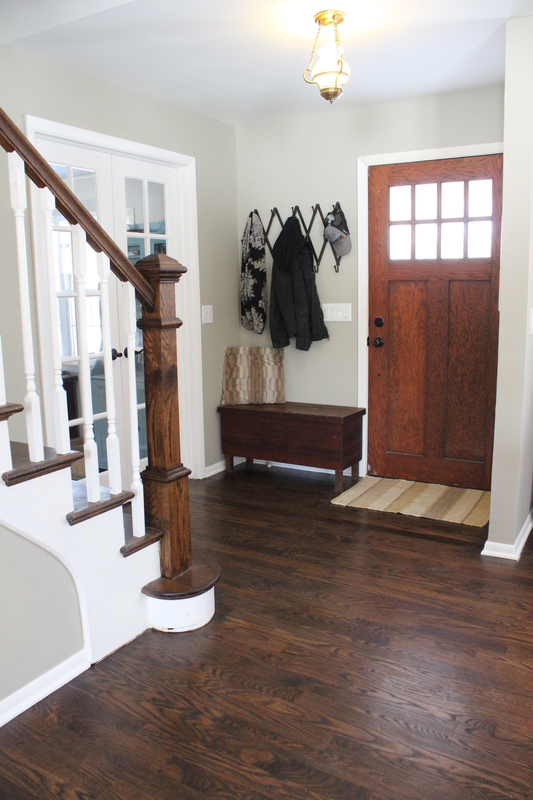 14) Add hardwood floors in the entry way. Check! Our floors are all one material and color- love them so much. Phew! We were busy. It was a lot of work, but the house totally feels like ours now. I doubt we can keep up this pace in 2014, especially with our little one arriving in a few weeks, but there is still lots to accomplish. All with an infant. Think it can be done? That’s a lot to do! Congrats on what you have done. I’m impressed! Where did you get dining room rug? It came from Home Decorators. Not sure if they have it any more though. I’ve just read your blog from begginning to end! Your progress is amazing, I’d love to do something like this dome day! Congratulatios. Can you tell me where you got the living room rug and the dining room light? Thanks! Living room rug is Pottery Barn (several years old) and Dining Room light is Ballard Designs called the Arturo. Amanda, you’ve done an inspiring job with everything. Hats off to you and Ben. 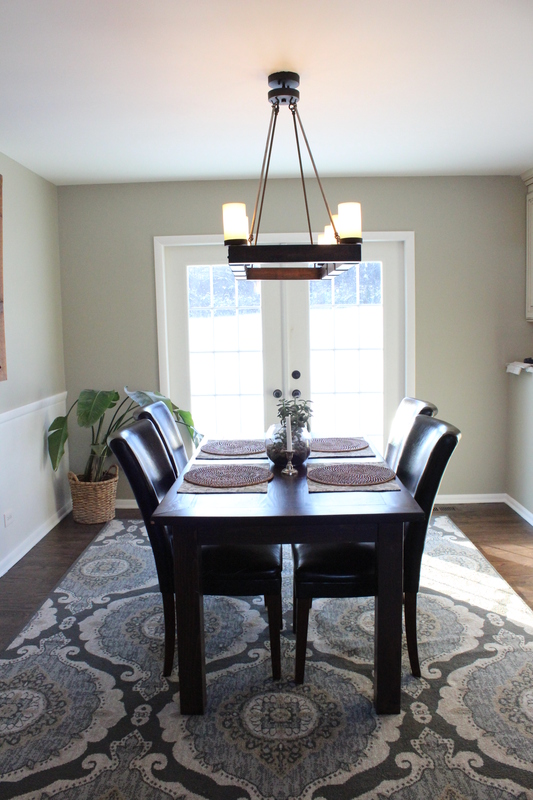 Would you mind sharing how the Arturo Chandelier is at putting off light? 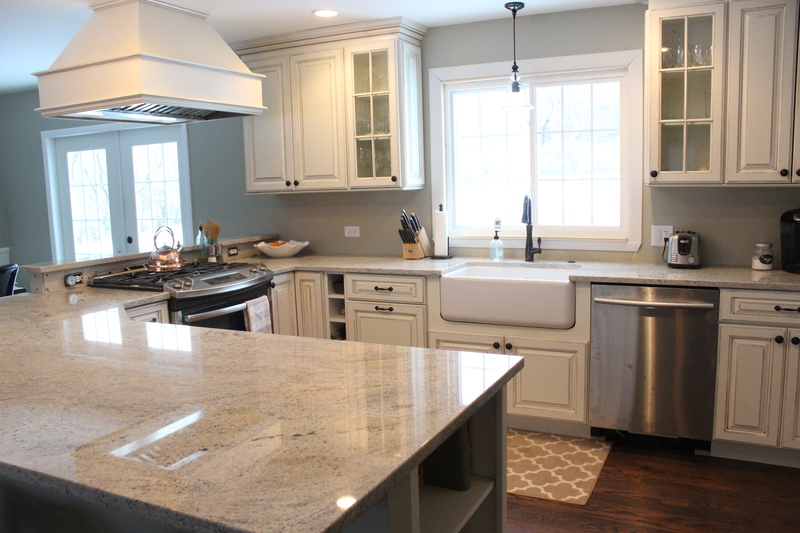 We’re thinking of purchasing the same light for over an open staircase that is on the back of our kitchen cabinets leading down to the basement. We currently have two pendant lamps shining into the stairwell/onto our countertops but really like the idea of the pillar candle chandelier. Think we’d have enough light with the Arturo Chandelier? Thanks! Yes it gives off plenty of light. I would think the equivalent to what you have already or more. Did you see it was on sale too? Yes!! Thanks so much for the quick feedback! I’ll let you know how it works out for us!